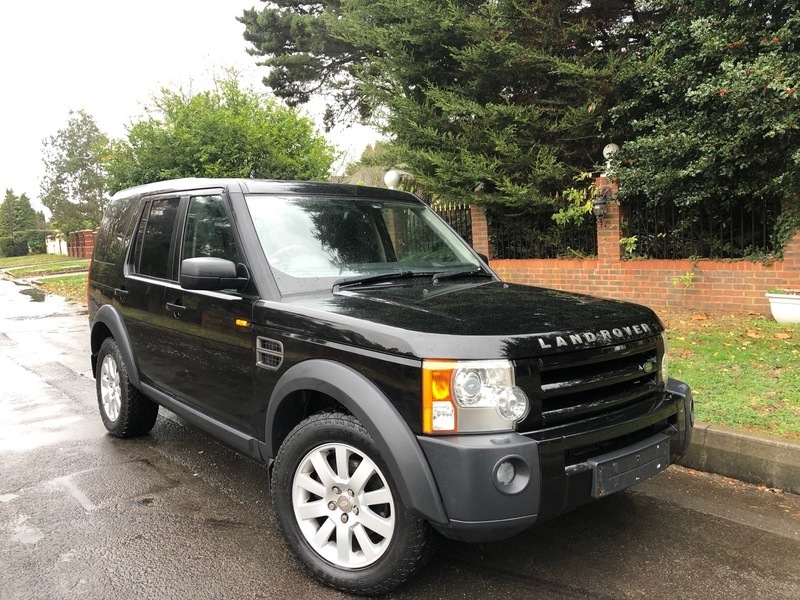 This lovely Discovery 3 comes with MOT until November 2019 and can be taxed ready to drive away, This is the cheaper tax bracket of £315 a year NOT the nasty £550 a year. It does have a good service history including the Cam Belt and water pump in 2015 at 105,000 miles. The last owner has had the car for the last 7 years and it has been well looked after and has just been serviced. It does have Remote central locking, Alarm Immobiliser, Tow bar, 18 inch Alloys with All terrain tyres, Privacy glass, Front fog lights, 7 Black Leather seats, Heated front seats and Heated Rear seats, Electric front seats with drivers 3 set money seat, Parrot bluetooth phone and audio system, Sat Nav, Pionner Radio CD player with Aux and USB output, Duel climate control, Front arm rests and cup holders, Cruise control, Drivers information system, Automatic lights, REAR TWIN DVD SCREENS WITH IR HEAD PHONE CAPABILITY, 4X Electric windows, Electric mirrors, Folding mirrors, and more. We do take part exchanges and we are open 7 days a week by Appointment.